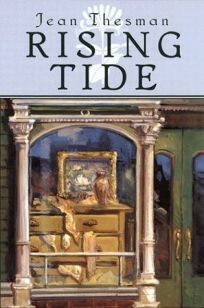 Jean Thesman revisits the post-earthquake San Francisco setting of her A Sea So Far for Rising Tide, the continuation of Kate Keely's adventures. It's now 1908 and Kate has recently returned from Ireland, where she had been caretaker for Jolie, the invalid met in the previous novel, who dies unexpectedly. Kate moves into a San Francisco boarding house with a plan to open a clothing store using fine linens imported from an Irish factory. But her friend and future business partner has spent half of her money on clothes to impress a wealthy young man.